There’s no doubt that travelling on a long-haul flight in economy class can be a little testing, unless you’re lucky enough to get one of those seats at the front of the cabin with no one in front of you. But how often does that happen? To travel in real comfort and luxury, you may need to splash out and go with a business or first class seat. You’ll enjoy loads more space, privacy, much better service and the best food and beverages available on the plane. So, is the extra cost involved actually worth it? If you’re fortunate enough to travel first class, you will enjoy the finest service available at 38 000ft. 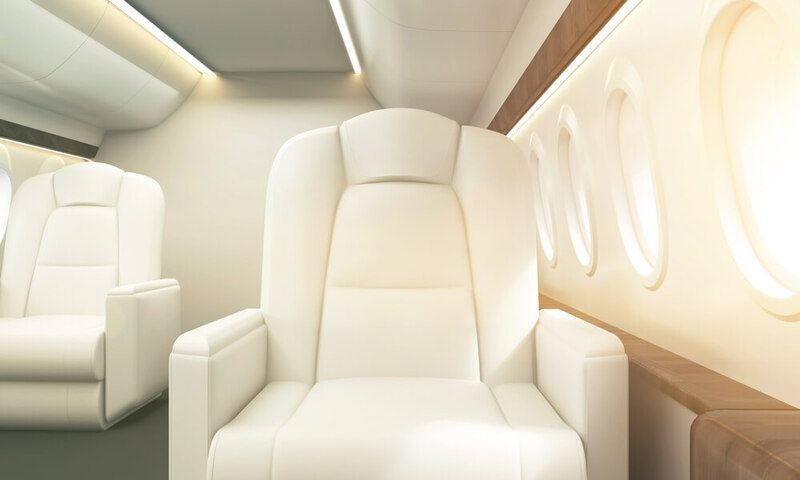 First class cabins have more flight attendants per passenger than the rest of the plane, which means the service is more personalised and a lot quicker. In Business class however, the service is efficient but not anything like you will receive in first class. Business class passengers enjoy much larger seats with wider and longer bases, as well as loads more leg room and larger arm rests. It’s definitely more comfortable with more ‘breathing space’ compared to economy. Any one that has flown before knows the feeling of walking through the first class cabins on their way to economy class. You look at those private reclining seats spaced out with partitions and work stations, and you imagine what it would be like to basically sleep on a bed through the duration of your 12 hour flight. First class enjoys privacy, space and immense comfort. The seats recline all the way down, effectively making a bed. There’s no need to worry about arm rest hogs, or lack of blood flow to your limbs in first class, that’s for sure. Generally speaking, first and business class passengers enjoy the finest meals and refreshments in the sky. Other inclusions, reserved for the air-borne elite include a variety of complimentary snacks, alcoholic beverages and other drinks. Although first class seats are generally double the price of a business class seat, the advantages and inclusions are certainly worthwhile, if you have it in your means to buy a first class ticket, of course. Airlines and their first and business class offerings vary so check and see what you will get with the two options and make your decision from there. Is flying first and business class worth the money? That’s for you to decide! So speak to your Flight Centre Consultant today to find out more about flying in comfort and luxury to your next overseas destination.